I blocked off yesterday afternoon to listen to a random sample of recorded phone calls between customer service representatives and customers (patients and providers) for my client. I’m preparing to deliver a full-day De-escalation workshop to this group in a couple of weeks. The customer escalated because the language created a barrier in the consumer’s mind. The only way around the fence is to escalate, as far as the customer is concerned. When a client hears, “That would be something you need to speak to the dentist about. I have no way of knowing that information.” they feel pushed into a corner. They want help, and they don’t think the person on the phone can or will help. So, they feel provoked to take action to help themselves. Escalations are time-consuming and frustrating for everybody, even for customers. I know you don’t want your customers to escalate. Join me for my “How to De-escalate” on -demand video training and your people will walk away knowing exactly how to preempt an escalation. 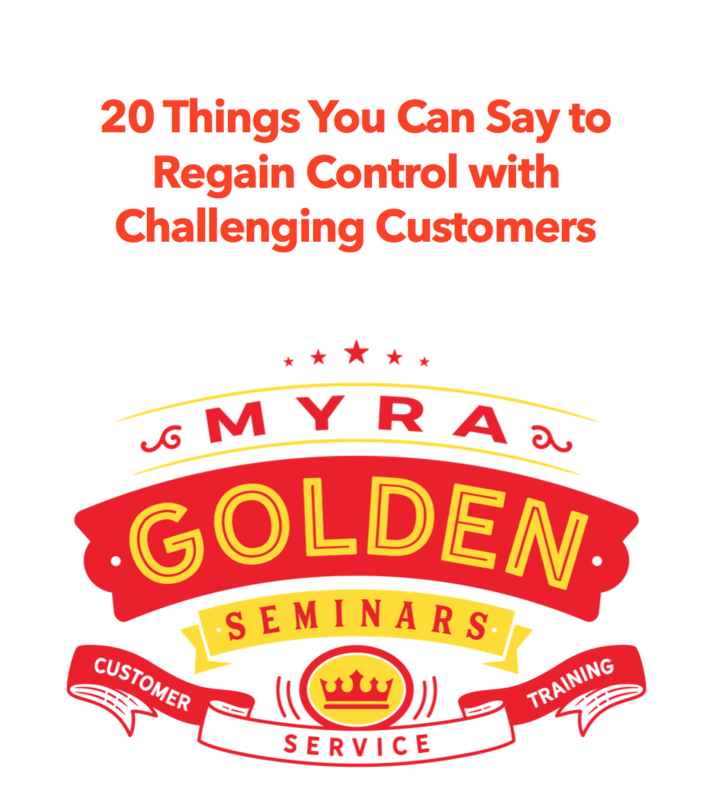 De-escalation Training to Help Your Employees Get Angry Customers to Back Down, Pre-empt Escalations to Supervisors and, In General, Handle Difficult Customers with More Ease. Previous Previous post: I Had to Pull the “Get Me a Manager” Card. Here’s Why.